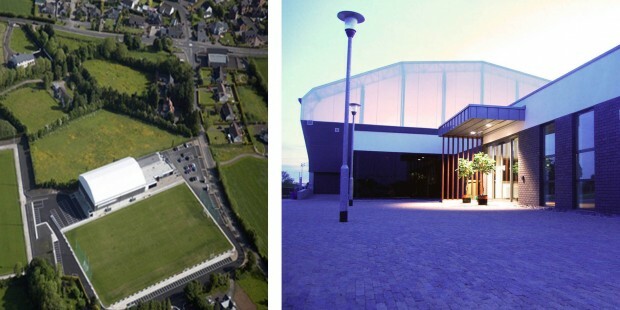 In 2010, Lavey GAA and the Termoneeny Community Association opened the doors to their state of the art community and sports facility. The new facilities include an indoor sports arena with 3G surface, 8 no. changing rooms, multipurpose rooms, a ‘spinning suite’ and fully inclusive fitness suite. The new facility now caters for the club’s 29 teams in Gaelic football, hurling and camogie; the indoor training facility allows for training in perfect conditions – whatever the weather! However, the facilities go so much further! The new development is the heart of the local community; it engages with all, regardless of age, gender, ability or religion. In addition to promoting Gaelic games, it offers a diverse range of activities including spinning, circuits, yoga, music and dance – to name just a few! The ‘young at heart’ club encourages interaction and activity amongst the elderly of the parish, whilst the facilities are used on a daily basis by the local schools and the parent and toddler group. The entire community was involved in the development of the project from the outset, contributing to the brief and design, and getting behind the fundraising initiatives to fund this ambitious project. Sport NI, the Big Lottery Fund, Magherafelt District Council and the GAA provided grant aid to assist with the £2.4M project. However, the majority of the project was funded through a massive fundraising effort by Lavey GAC and the Termoneeny Community Association. 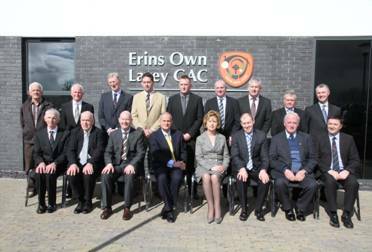 In September 2012, Erin’s Own Lavey were awarded the ‘Derry Club Grounds of the Year’ award by an Ulster GAA inspection panel. This is recognition of the fantastic facilities available to our club members and the local community! Club Lavey would like to thank all those who funded, sponsored and supported the project, and invite everyone across all communities to use and enjoy the facility.